Ez-Adjustable Lanyard Hardware For Lanyards and Cellular Phone Straps Making. Good For Swivel, Flexible and Adjustable Length of Lanyards. 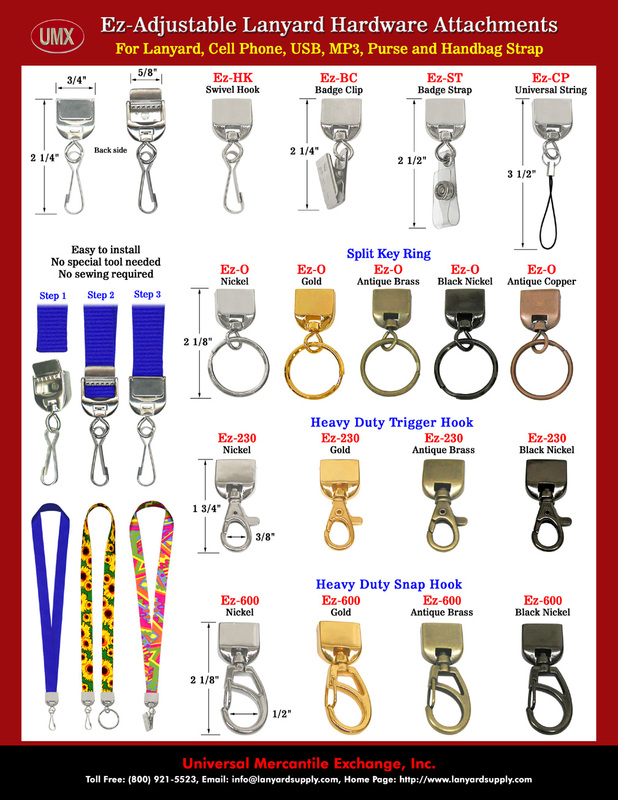 Specifications: Ez-Adjustable Lanyard Hardware: Swivel Hooks, Badge Clips, Key Rings, Cell Phone Connection and Snap Hooks Supplies. You are viewing Lanyards > Making > Ez-Adjustable Lanyard Hardware For Lanyards and Cellular Phone Straps Making.